Title of Talk: Is it Possible to Localize a Camera without Matching? Abstract: SLAM attracts much interest both from academic and industrial communities. Marker-based SLAM methods, using planar markers, are fairly easy to implement. However, existing methods typically need to identify multiple points (markers or key points) in images for matching points in 2D or 3D space. If cameras move fast and are far away from markers or key points, matching may generate errors. If there are only a few points, even RANSAC cannot remove incorrect matching. This will make camera pose tracking unstable and failing. Due to these issues, I studied possibilities of localizing a camera without point matching. Indeed, it is possible to localize a camera without matching. In this talk, I will present designed markers and feature extraction using Polar-N-Direction geometric distances. Then, the camera pose is estimated analytically in a very concise way. Corresponding demos and robustness analysis will be presented. 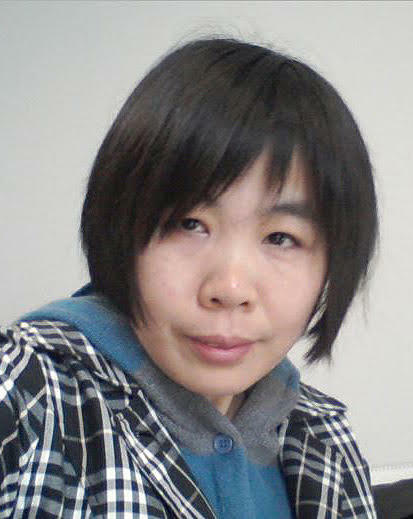 Yihong Wu is currently a professor at the National Laboratory of Pattern Recognition (NLPR), Institute of Automation, Chinese Academy of Sciences. Her research interests include image matching, camera calibration, camera pose determination, 3D reconstruction, and SLAM. She obtained her Doctor of Science degree in applied mathematics from Mathematics Mechanization Research Center (MMRC), Institute of Systems Science, Chinese Academy of Sciences, in 2001. She has published more than 80 papers in journals and at conferences including IEEE PAMI, IJCV, PR, ICCV, and ECCV. She acted as an area chair, session chair, or PC member for ICPR 2018, ACCV 2007, ICCV 2007, CVPR 2008, ICCV 2009, PCM 2007 and further conferences. She is currently an Associate Editor of "Pattern Recognition", an editorial board member of "Journal of CAD & CG", an editorial board member of "Journal of Frontiers of Computer Science and Technology", an editorial board member of "Visual Computing for Industry, Biomedicine and Art", and an editorial board member of “Array". Abstract: Miniature high-quality cameras and associated sensors are increasingly worn by people and embedded in robots. The pervasiveness of these sensors is offering countless opportunities to improve services and applications through the recognition of actions, activities and interactions. However, despite this richness in sensing modalities, inferences from these data are particularly challenging due to unconventional and rapidly changing capturing conditions. In this talk I will present the main challenges in learning, classification and processing body-camera signals and show how exploiting multiple modalities helps address these challenges. In particular I will discuss action recognition and audio-visual person re-identification as specific application examples. Moreover, as these applications pose important societal challenges, I will show how to design on-device machine learning models for privacy preserving services. Andrea Cavallaro is Professor of Multimedia Signal Processing and the founding Director of the Centre for Intelligent Sensing at Queen Mary University of London, UK. He is Fellow of the International Association for Pattern Recognition (IAPR) and Turing Fellow at the Alan Turing Institute, the UK National Institute for Data Science and Artificial Intelligence. He received his Ph.D. in Electrical Engineering from the Swiss Federal Institute of Technology (EPFL), Lausanne. He was a Research Fellow with British Telecommunications (BT) in 2004/2005 and was awarded the Royal Academy of Engineering teaching Prize in 2007; three student paper awards on target tracking and perceptually sensitive coding at IEEE ICASSP in 2005, 2007 and 2009; and the best paper award at IEEE AVSS 2009. Prof. Cavallaro is vice chair of the IEEE Signal Processing Society, Image, Video, and Multidimensional Signal Processing Technical Committee and an elected member of the IEEE Video Signal Processing and Communication Technical Committee. He is Senior Area Editor for the IEEE Transactions on Image Processing; and Associate Editor for the IEEE Transactions on Circuits and Systems for Video Technology and IEEE Multimedia. He is a past Area Editor for the IEEE Signal Processing Magazine (2012-2014) and past Associate Editor for the IEEE Transactions on Image Processing (2011-2015), IEEE Transactions on Signal Processing (2009-2011), IEEE Transactions on Multimedia (2009-2010) and IEEE Signal Processing Magazine (2008-2011). He is a past elected member of the IEEE Multimedia Signal Processing Technical Committee and of the IEEE Signal Processing Society, Image, Video, and Multidimensional Signal Processing Technical Committee, and chair of its Awards committee. Prof. Cavallaro has published over 250 journal and conference papers, one monograph on Video tracking (2011, Wiley) and three edited books: Multi-camera networks (2009, Elsevier); Analysis, retrieval and delivery of multimedia content (2012, Springer); and Intelligent multimedia surveillance (2013, Springer). Abstract: Since the concept of the Turing machine was first proposed in 1936, the capability of machines to perform intelligent tasks went on to grow exponentially. Artificial Intelligence (AI), as an essential accelerator, pursues the target of making machines as intelligent as human beings. It has already reformed how we live, work, learn, discover, and communicate. In this talk, I will review our recent progress on AI by introducing some representative advancements from algorithms to applications, and illustrate the stairs for realization from perceiving to learning, reasoning, and behaving. To push AI from the narrow to the general, many challenges lie ahead. I will bring some examples out into the open, and shed lights on our future target. Today, we teach machines how to be intelligent as ourselves. Tomorrow, they will be our partners to step into our daily life. Dacheng Tao is an Australian Laureate Fellow and the Inaugural Director of the UBTECH Sydney Artificial Intelligence Centre at University of Sydney. 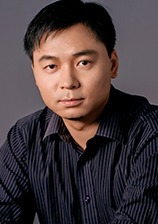 His research results in AI have expounded in one monograph and 500+ publications at leading journals and conferences, such as T-PAMI, T-IP, AAAI, IJCAI, CVPR, ICCV, ECCV, ICDM; and ACM SIGKDD, with several best paper awards and 30K+ citations, such as the 2014 ICDM 10-year highest-impact paper award, the 2017 IEEE Signal Processing Society Best Paper Award, and the 2018 IJCAI distinguished paper award. He is a highly-cited researcher in both engineering and computer science. He received the 2015 Australian Scopus-Eureka Prize and the 2018 IEEE ICDM Research Contributions Award. He is a Fellow of the Australian Academy of Science, a Foreign Member of the Academia Europaea and a Fellow of the AAAS, IAPR, IEEE, and OSA.